With the recent draw of the 2015-16 UEFA Champions League group stage, Sweden's star striker Zlatan Ibrahimović will face his first professional club Malmö FF with his French side Paris Saint-Germain (given of course he stays with the club through the transfer deadline). 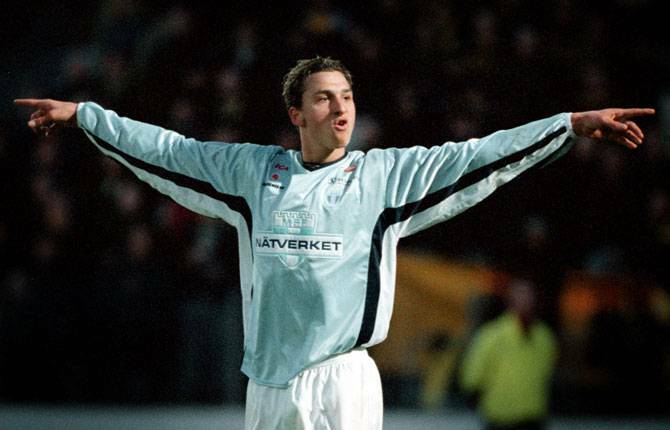 Malmö will join a long list of clubs Zlatan has played both for and against in the Champions League. Last season with PSG Ibrahimović and his team were drawn into a group with two of Zlatan's previous clubs in Barcelona and AFC Ajax. Since leaving Dutch side Ajax Ibra has faced his former team in Champions League play with Juventus in 2004-05 and with Juventus in 2010-11. 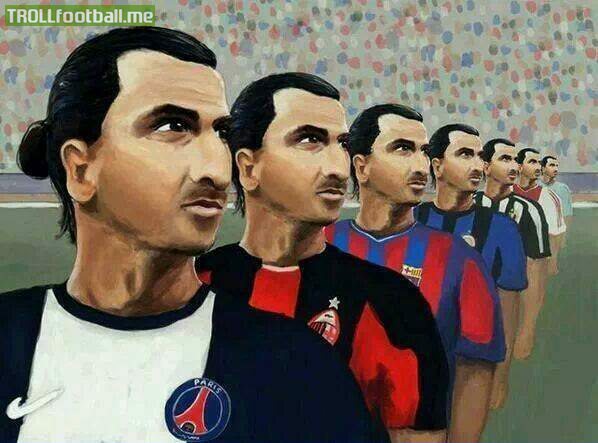 Against former club Inter Ibra played both before and after joining the Italians. First, Zlatan faced Internazionale with Ajax in his first Champions League season in 2002-03, in the same CL season he would also face future club AC Milan in the quarterfinal of the tournament. Almost immediately after leaving Inter for Spanish side Barcelona the Swede would take on his former side both in the group stages and the semi-finals in the 2009-10 edition of the tournament, losing out to his former side who would eventually win the trophy. Whether a side he would later join, or as his former club, in Champions League play Zlatan Ibrahimović has faced five of the seven clubs he had played for. Juventus and Paris Saint-Germain will (for now) remain the two clubs Zlatan hasn't tried to defeat with another club in the CL.